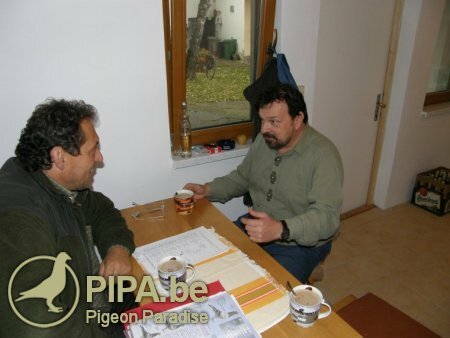 It is not a secret that Jürgen & Sarah Jung (SG Jung-JUPID) own top birds. Only the Best of the Best is sitting in the breeding loft in Ebertshausen. This top class of birds are also responsible for top results all over the world. One of the best seasons for the father-daughter combination was 2011. The Jung pigeon is conquering the world!!! These references show that Jürgen Jung is on the right road and owns fantastic breeders. 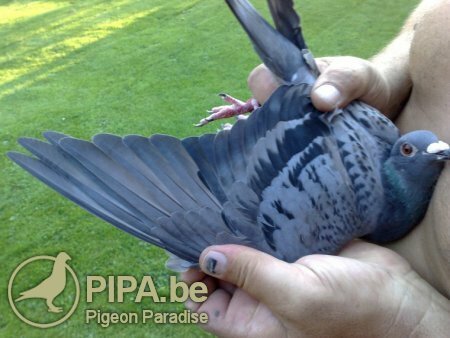 One of the best fanciers who races spectacularly with the birds from Jung-JUPID is without doubt Team Hlavica from Czech Republic. She is bred from"Nagim x "Amaris" - of course two Original SG Jung-JUPID. Both parents of "Martina" are grandchildren of the legendary "Aladin"! 26.10. 5th Prize   “Soraia”              51 km  TF 2      5322 p.
16.11. 26th Prize   “Omarion”            81 km   TF8       4617 p.
19.11. 12th Prize   „Paavo“              131 km   TF9      4547 p.
24.11. 155. Prize  „Omarion“             64 km  TF10     4511 p.
30.11. 56. Prize  „Omarion“              82 km  TF11     4485 p.
03.12. 19. Prize  „Soraia“               131 km  TF12    4452 p.
07.12. 52. Prize  „Soraia“               82 km   TF13    4422 p.
21.12. 2. Prize  „He Man“                82 km   TF15    4080 p.
04.01. 49. Prize  „Soraia“                82 km    TF18   3878 p.
14.01. 87. Prize  „Soraia“                82 km   TF20    3521 p.
21.01. 65. Prize  „Omarion“               131 km   TF22   3513 p.
Jürgen Jung talks to Rostislav Hlavica. As you can see he is very proud and happy about the top results of his birds. Sarah supports her father in everything he do. She also has the special feeling for birds (especially for really Toppers). 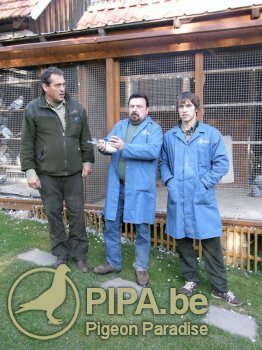 This is also an example of how the youth conquer the pigeon sport. With new ideas and new ways.